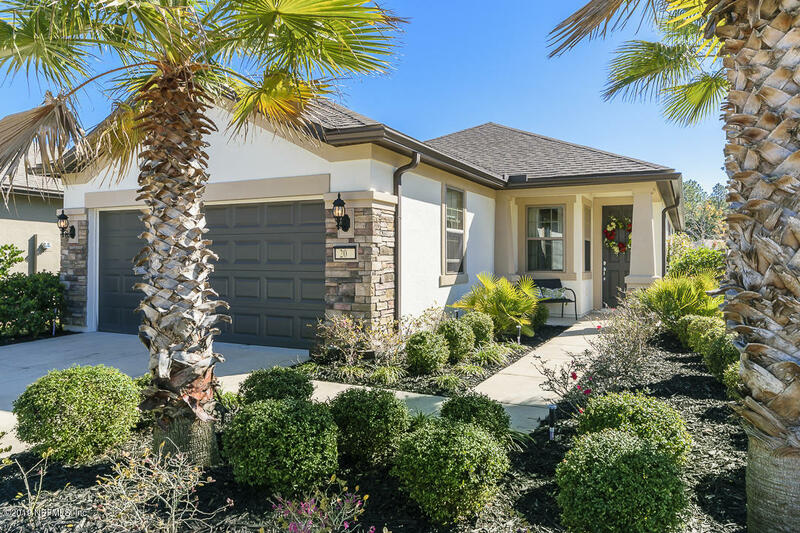 Experience all that Del Webb Ponte Vedra and the magnificent Anastasia Club have to offer, clubs, pools, fitness, tennis, games, walking, biking, jogging trails, and events. Then Relax on the 16x16 air conditioned all seasons extended Lanai surrounded by beautifully landscaped yard. This Pine Spring floor plan home shows like a model and is filled with design features, including 9 ft ceilings, 42 inch cabinets, raised vanities in bathrooms, and Corian window sills, to name a few. Outside the Del Webb gate, the Nocatee splash park, and more events await. You will never get bored. Why wait to build when you can begin to enjoy life NOW.